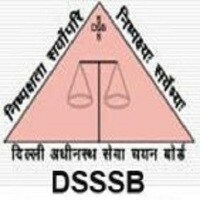 Delhi Subordinate Services Selection Board (DSSSB)has recently announce about the recruitment of 9232 Posts for Asst. Teacher, TGT/ PGT & Various Other Vacancies Against the Advertisement No. 04/2017. A large number of Candidates filled there Application Form. The Process of Submitting Application Form is Conducted Online and the Candidates can submitted there Online Application form till the Last date 31/01/2018. Tier 1 Result / Merit list of PGT English Exam shall be prepared by DSSSB Board after evaluation Online Computer Based Exam. Category wise minimum Cut off Marks to be decided for preparing DSSSB PGT Merit Lists. Candidates will have to secure atleast Cutoff marks as per concerned Subject/ Category for being taken into Merit LIST. Read the instructions given there. 100/17 PGT Biology – Male 03/07/2018 1. 101/17 PGT Biology – Female 06/07/2018 2. 103/17 PGT Chemistry – Female 06/07/2018 1. 104/17 PGT Commerce-Male 04/07/2018 2. 106/17 PGT Economics- Male 03/07/2018 1. 107/17 PGT Economics- Female 07/07/2018 1. 108/17 PGT English – Male 2. 109/17 PGT English – Female 02/07/2018 1. 112/17 PGT History – Male 04/07/2018 1. 119/17 PGT Geography-Female 03/07/2018 2. 120/17 PGT Maths – Male 03/07/2018 1. 121/17 PGT Maths – Female 04/07/2018 1. 122/17 PGT Physics – Male 03/07/2018 2. 123/17 PGT Physics – Female 04/07/2018 2.